Following a supernovae explosion or a collision with nearby star, a view of a runaway star AE Aurigae racing away from its original home. 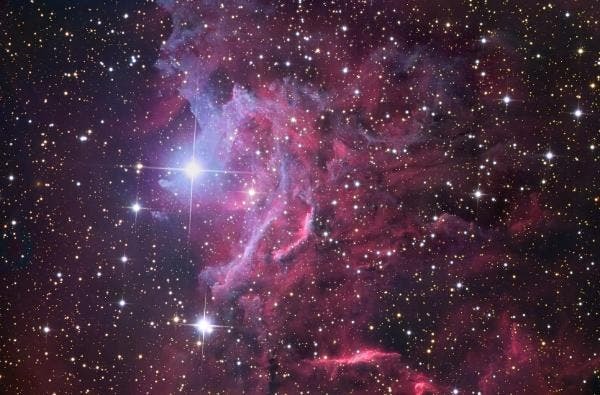 The cloud is called the Flaming Star Nebula. 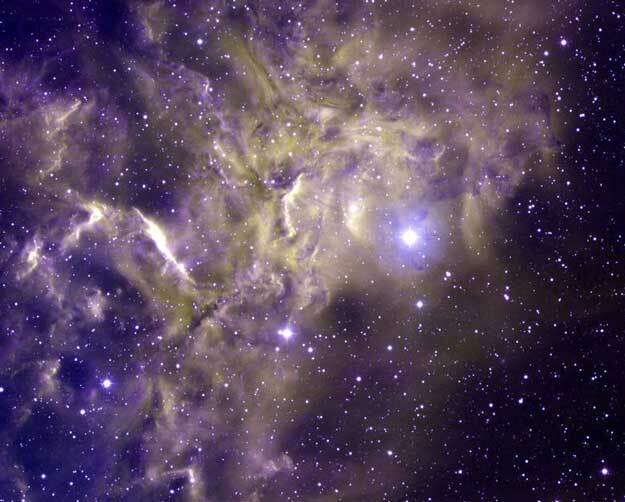 Although surrounded by what may look like smoke, E Aurigae, known as the "flaming star" creates energy primarily by nuclear fusion, like other stars.The material that appears as smoke is mostly interstellar hydrogen, but does contain smoke-like dark filaments of carbon-rich dust grains. The AE Aurigae region was imaged by the KPNO 0.9-meter telescope and is shown above in false but representative colors. The star AE Aurigae itself is very bright, young, blue, and known as a runaway star since it appears to have been ejected from the Orion Nebula region about 2.7 million years ago.